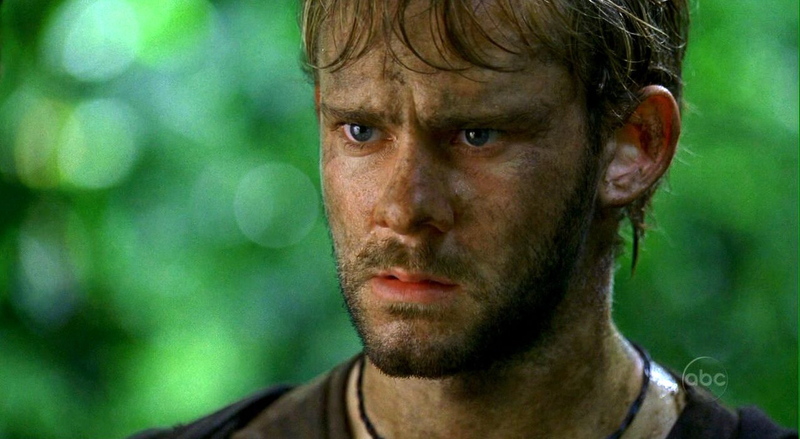 Lostpedia Blog: The Lost Rewatch: 1x07 "The Moth"
Because we're so pressed for time, I'm posting the review for "The Moth" right away. Don't be surprised if I post more today -- I've still got five more to go after this one. "The Moth" is the seventh episode of season one, as well as the seventh episode of the series as a whole. It shows us the past of Charlie Pace, the rock star, who is also undergoing detox on the Island with the help of Locke. Kate and Jack continue to bicker about the caves, but Kate says that she wants to go through with Sayid's plan to triangulate a signal to call for help, a plan that is destined to fail for two reasons: Locke, and the Looking Glass. In a flashback, Charlie confesses his sins to a priest, and vows to quit the band. However, as soon as he leaves the confession booth, he meets Liam, his brother, who tells him that the band has signed a records deal. Locke tells Charlie that he can ask for the drugs three times, and after the third time Locke will return the drugs to Charlie. Charlie asks him why, but Locke says that it's to give Charlie a choice. Later, Charlie, who has been told he's in the way, finally tells his frustrations to Jack, but the cave collapses, trapping Jack inside. Charlie and Michael go to the beach for help, and get Steve and Scott (who they famously mix up) to help. Meanwhile, in a flashback, Charlie confronts Liam, who has broken another promise once again. Back on the Island, Charlie goes to find Locke to help, and Locke tells Charlie the moth parable. Charlie asks for his drugs the second time, and Locke says he has one more chance. Charlie returns to the caves, and volunteers to go inside and rescue Jack. A flashback shows him being yelled at by his brother, eventually turning to his brother's drugs. Charlie reaches Jack in the cave, but the tunnel collapses behind him. Charlie tells Jack "I'm here to rescue you," a line that will be repeated (once again to Jack) by Daniel Faraday. Charlie, seeing a moth in the cave, finds a way out through a hole in the roof. He's a hero this time, and even Hurley says "Dude, you rock" (another hint at the beginning of a beautiful friendship). Meanwhile, Sayid is able to triangulate the signal, but is knocked unconscious by an unseen person (Locke) before he is able to do anything. His tranciever is destroyed. Later, Charlie goes and meets Locke, asking for his drugs a third time. Locke, disappointed, gives them to Charlie, who promptly tosses them into the fire. Locke is proud. Charlie looks up, and once again sees a moth, closing out the episode. And that's it for episode 1x07, "The Moth." You can discuss the episode in this forum thread, read others' posts about it at the rewatch hub, and edit the episode's article.